Allies Dinner | 'Tis Time! *Mic tap. Attention! Attention! 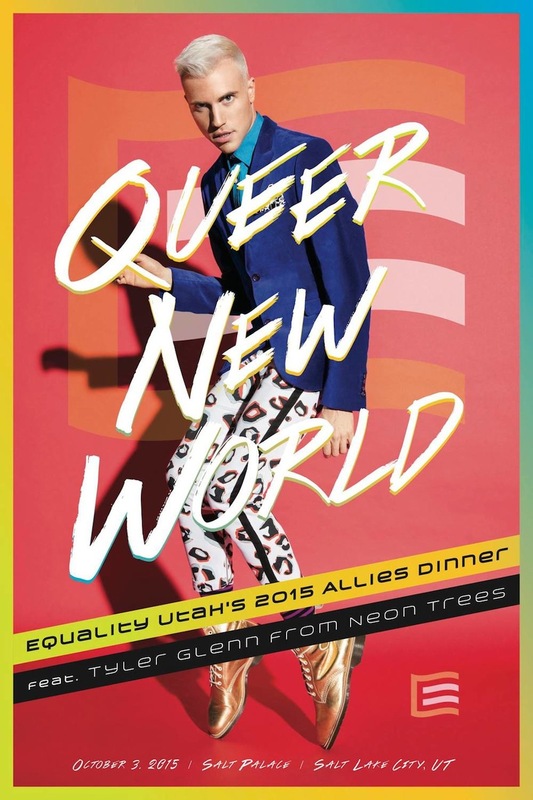 The Equality Utah Allies Dinner is this Saturday, people. We gave you the rundown last week on this deliciously-beneficiary event last week, but in case you missed it, we suggest you read up stat. Equality Utah is one of the most sensational soldiers in the effort to win equality for Utah's LGBTQ community and their families, which is something we could all stand to champion a bit harder for. The annual Allies Dinner, hosted by Equality Utah, promises to be an “inspirational and entertaining evening to celebrate our victories this year, look to the work still ahead, and uplift our community values of love and opportunity for all Utahns”. It's a black tie bash, to be sure, but the theme is Queer New World, so pops of fabulousness are aptly encouraged. Tyler Glenn of Utah's own Neon Trees will be acting as keynote speaker/performer, so you know it's gon' be a party. Snap up your tickets now and let's support (and celebrate) a worthy cause and a stellar group of individuals. We'll be dressed in our finest, sooo…see you there?